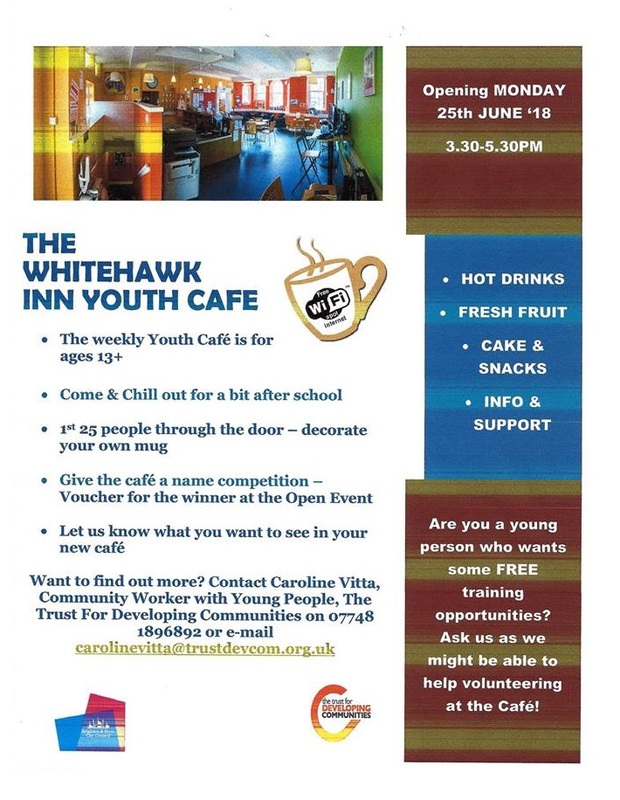 On Monday 25th June the Whitehawk Youth Café opened at the Whitehawk Inn. The TDC youth team have launched this café to provide a nice chill out space for young people to come in after school for a smoothie, juice or hot chocolate. There will be chance to play board games, get some health advice, get homework done or just chat about the day. Over time young people will help to decide what else the café can offer them. We are hoping that someone will give us an exciting new name so watch this space! And Caroline Vitta, TDC Community Worker with Young People elaborates “We are really hoping young people come to the Whitehawk Youth Café with lots of ideas about what they’d like to see. We have been out and about in Whitehawk promoting the café and chatting to young people about this. Our venue, The Whitehawk Inn, is a lovely space so it would be amazing to see it buzzing with young people on a Monday afternoon. We also want local volunteers of all ages to get involved in running the café. We have already seen great examples over the years of how successful community led projects benefit young people, for example the Crew Club and Manor Gym, so we would love to see that happen with our project. The café is open 3.30-5.30 every Monday including over the summer holidays. Please come along and tell all your Whitehawk-based friends! Summer Holiday Programme for Moulsecoomb, Bevendean and Coldean out now!